Flipbooks are the latest craze in interactive party favors and entertainment - a 60 page business card sized book of consecutive photos taken from a 7 second video shot at the event. It's 7 seconds of fun that lasts forever! What are Flipbooks great for? 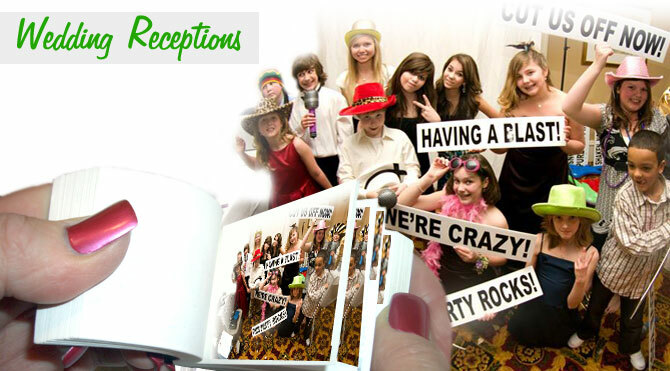 Any party that wants to have fun – including Corporate Events & meetings, weddings, bar/bat mitzvahs, trade shows, holiday parties, reunions and more. A Flipbook takes 7 seconds to film, and about 2 minutes to make. Everybody gets their Flipbooks within minutes of making them. Please call or email Flipped Out Productions for your custom quote! Can Flipbooks be made anywhere? Yes – all we need is a 10' X 10" space against a wall with access to a regular wall plug for power. If outdoors, then we prefer a provided tent or canopy. 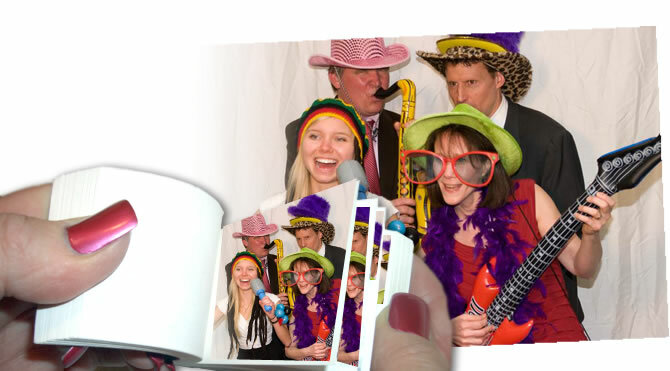 All Flipbook events include a custom cover for your event with pictures, logos and text describing the event, two friendly and fun Flipped Out friends to direct everyone and produce the Flipbooks, as many Flipbooks as we can make while we're there, and a lot of laughing and fun! How many people will fit in a video? The ideal Flipbook has 1-4 people in it, but we've done some crazy crowd scenes and conga lines with many more!